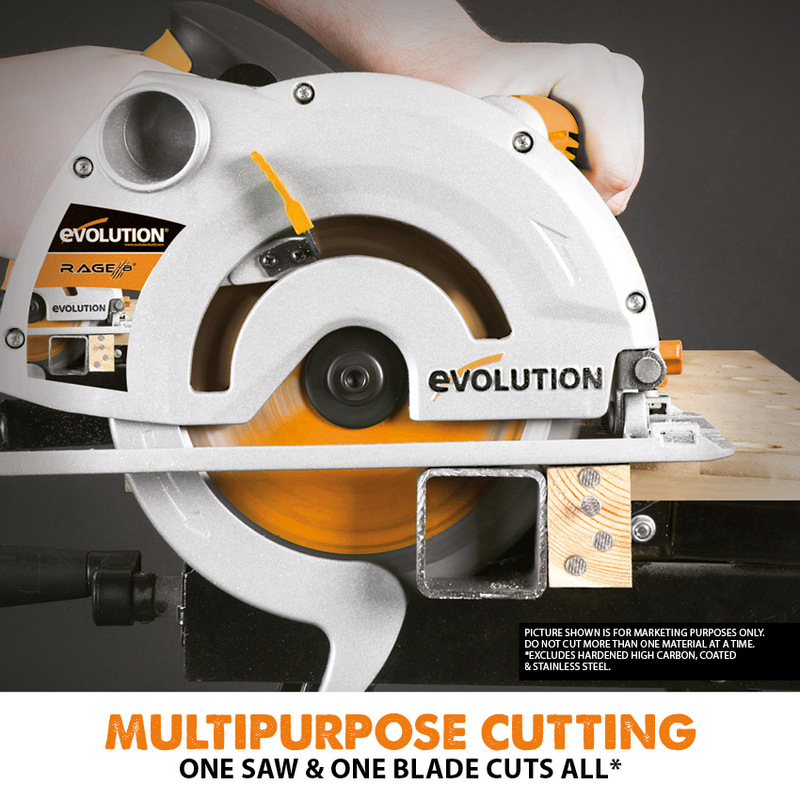 Utilising patented Evolution multipurpose cutting technology. 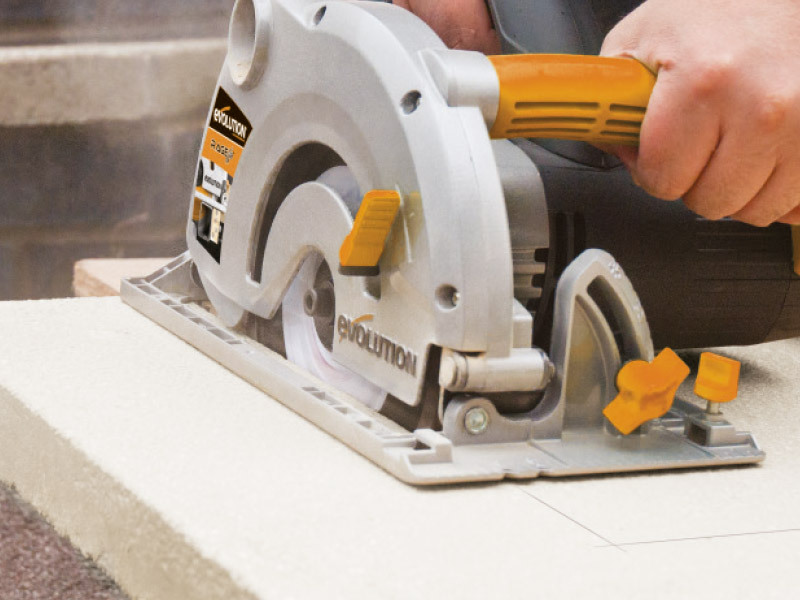 The RAGE1-B circular saw is optimised to cut mild steel, non-ferrous metals, wood, even wood with embedded nails and plastic with a single blade! 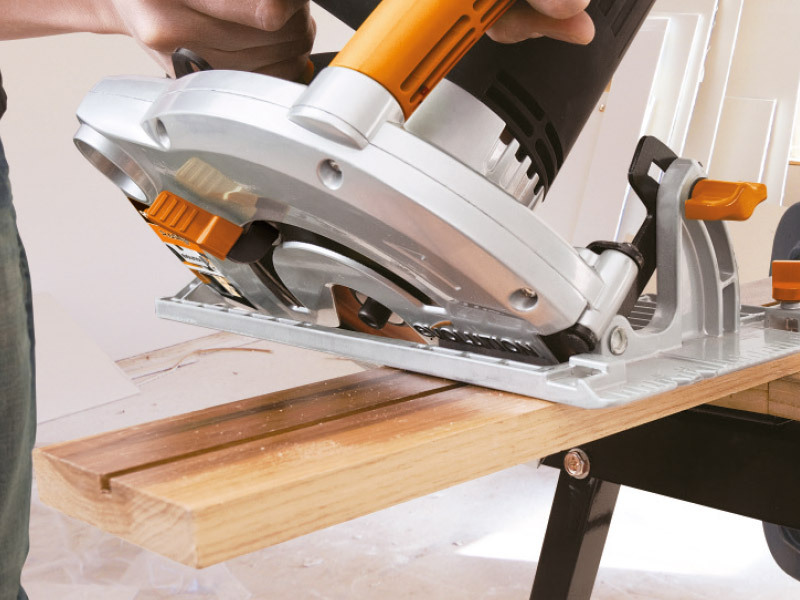 No blade changes = Hassle free, fast & easy work! One saw, one blade. Cuts all. 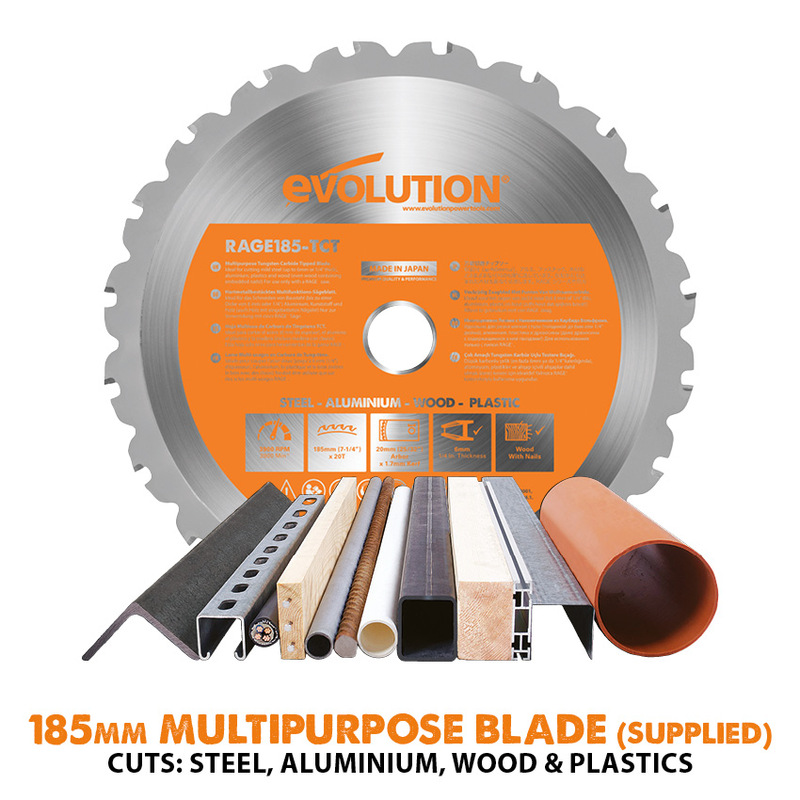 Utilising patented professional RAGE® technology; easily cuts Steel, Aluminium, Wood (even wood with nails) and Plastic, using just one blade! 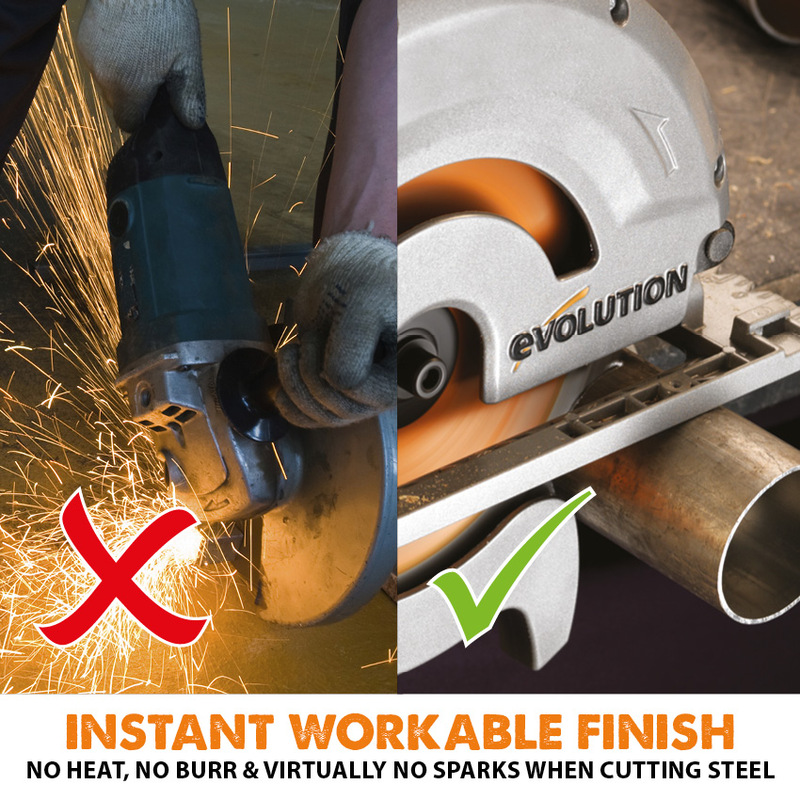 When cutting Steel, it leaves an instantly workable finish, producing no heat, no burr and virtually no sparks - unlike alternative methods (above). 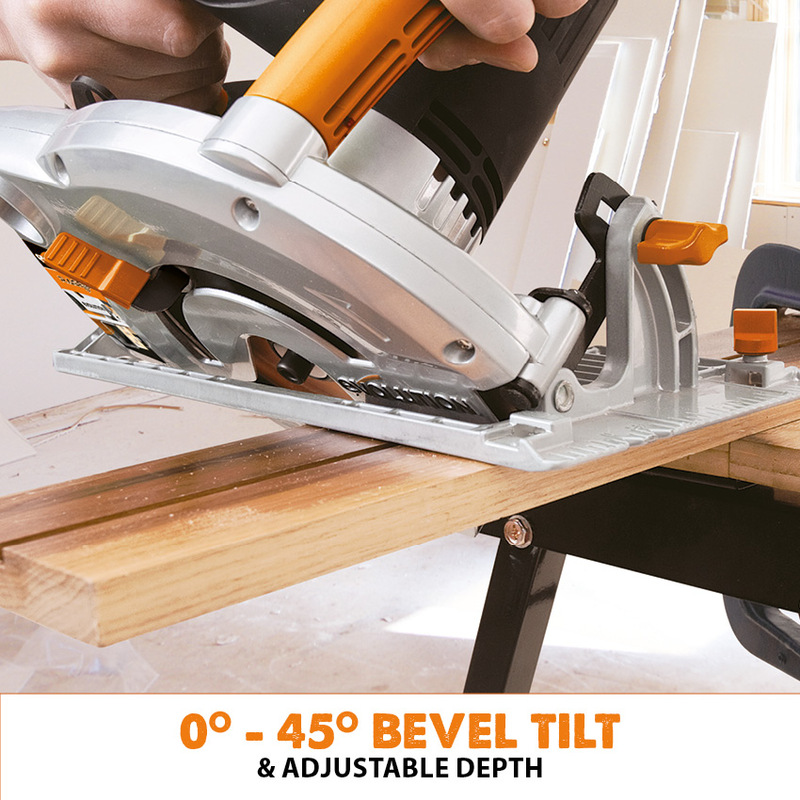 Easy-to-access 0-45° bevel tilt and adjustable depth of cut enhances the saw’s versatility. Plus, clear line of sight ensures accurate cuts every time. 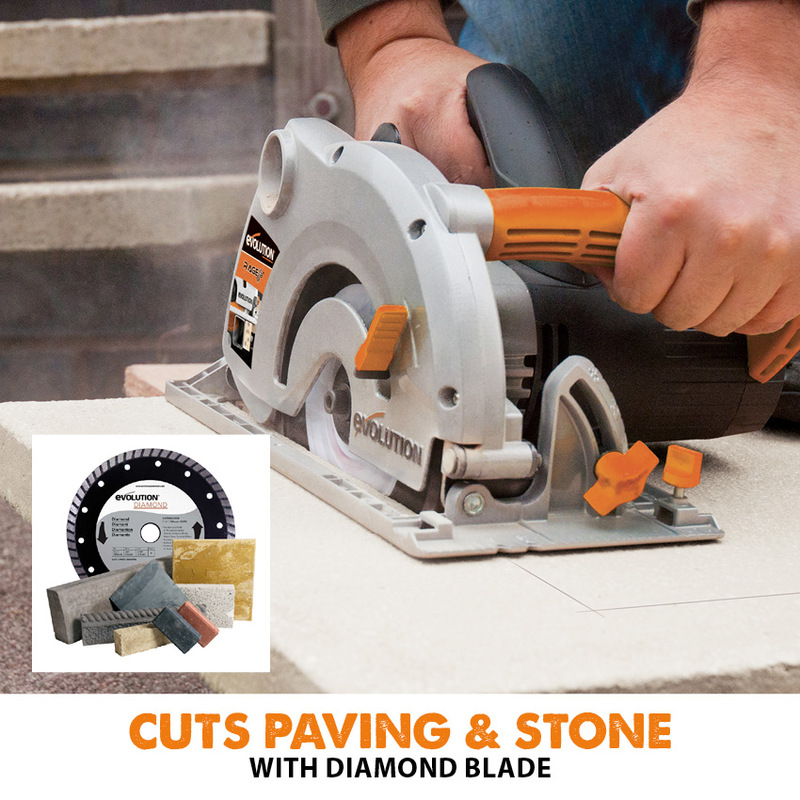 CUTS PAVING & STONE TOO! 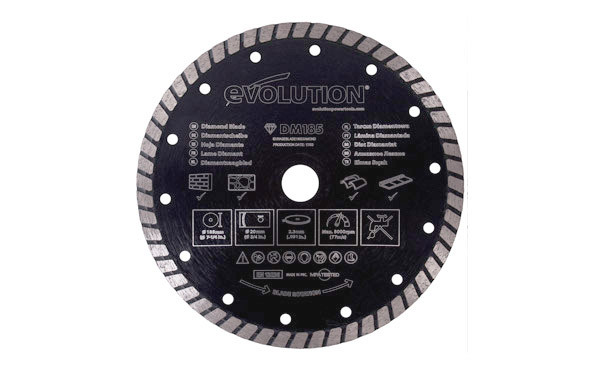 The optional diamond blade is available for cutting Stone, Concrete & Brick. The RAGE1-B really is the complete cutting package! 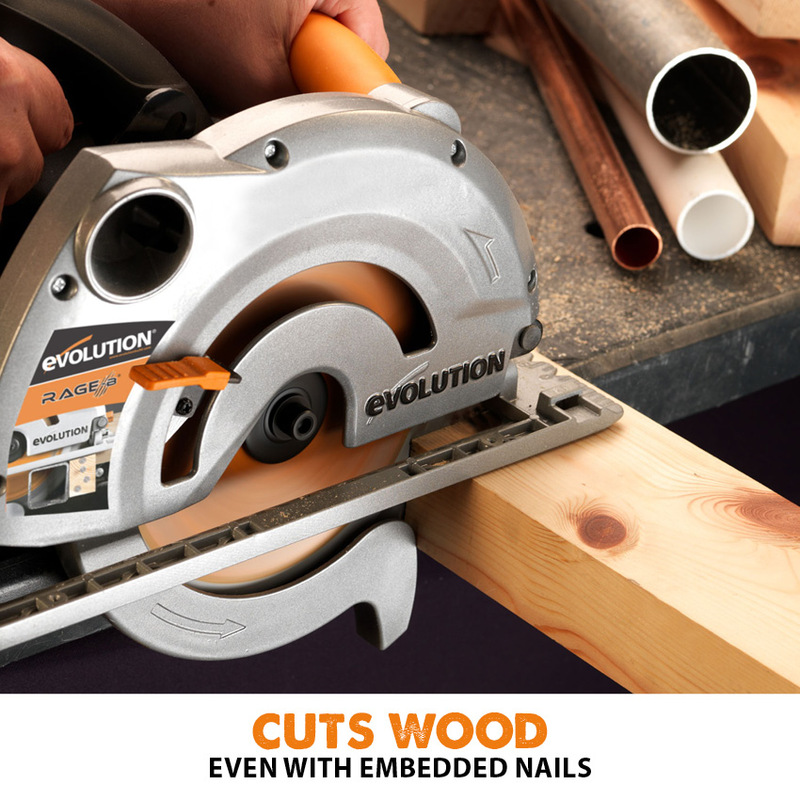 Can you fit wood blades? 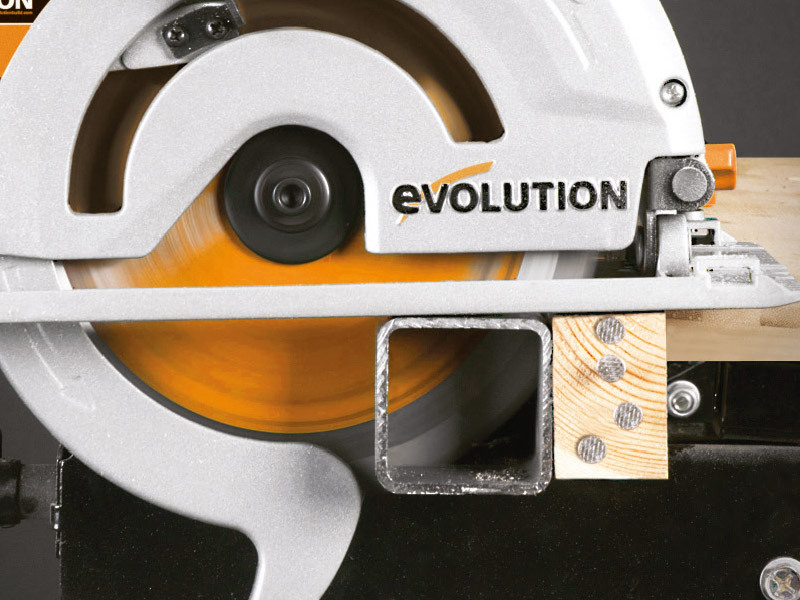 Yes, the Evolution 185mm Wood Blade can be fitted to this machine. 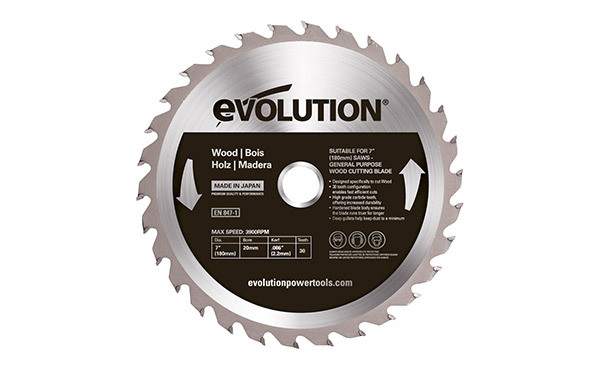 Buy this blade here. A dust bag cannot be fitted to this machine. Dust extraction cannot be fitted to this machine. 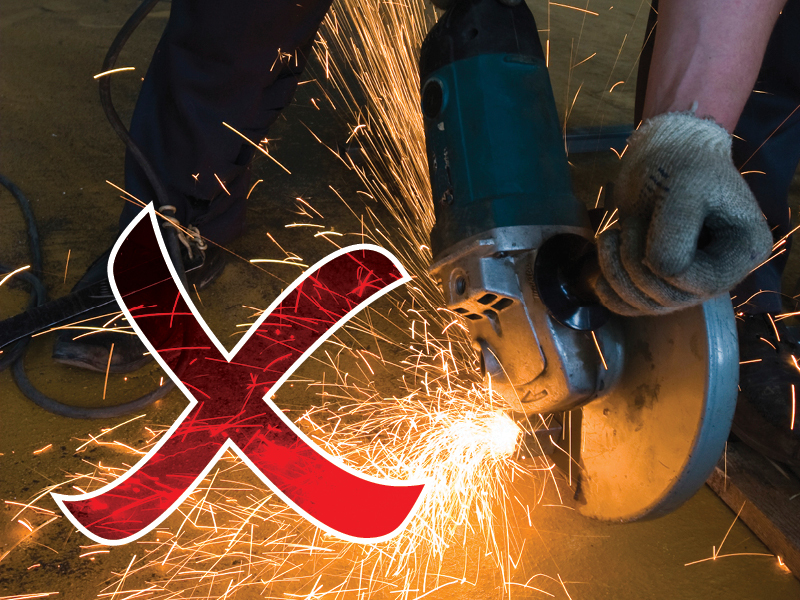 Can it cut stainless steel or cast iron? No. 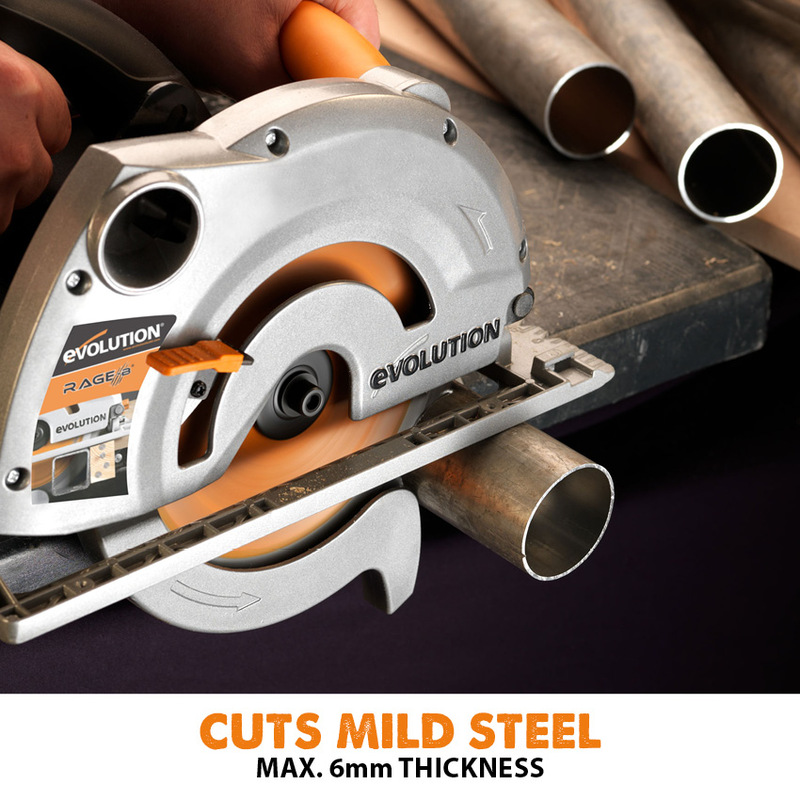 Use only on mild steels. 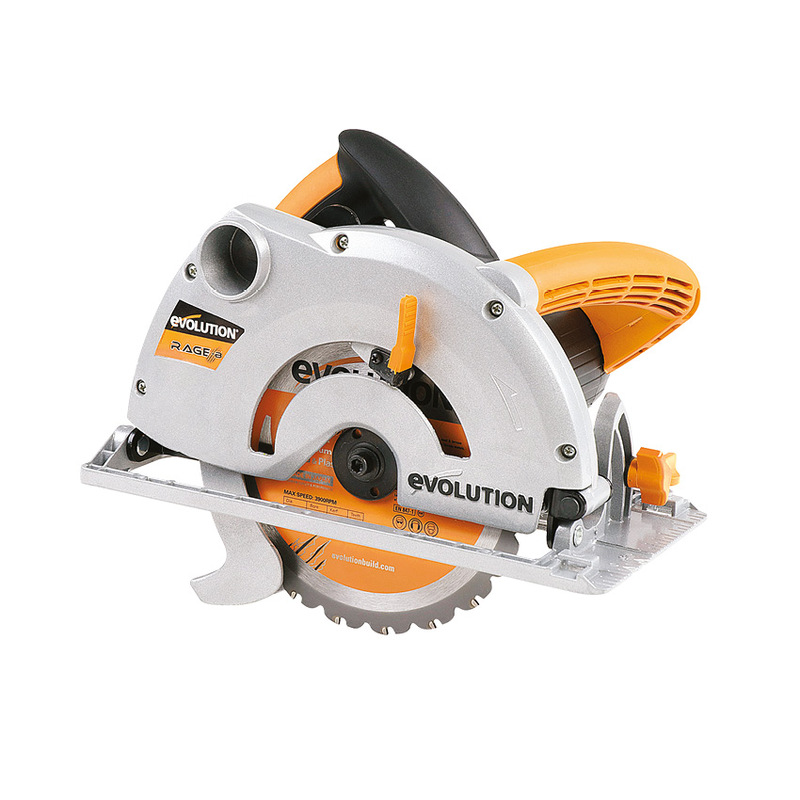 Can a diamond blade be fitted to this machine? 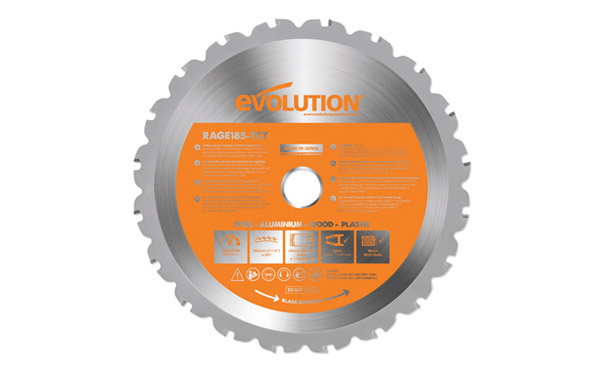 Yes, the Evolution 185mm Diamond Blade can be fitted to this machine. Buy this blade here. The depth stop screw is not locking. A. Check if there is a washer between the scale plate and the plastic locking lever. B. Then check if the threaded insert is in place. Please contact our customer service team if replacement parts are required. Blade not cutting in line with 0 marker on the base.